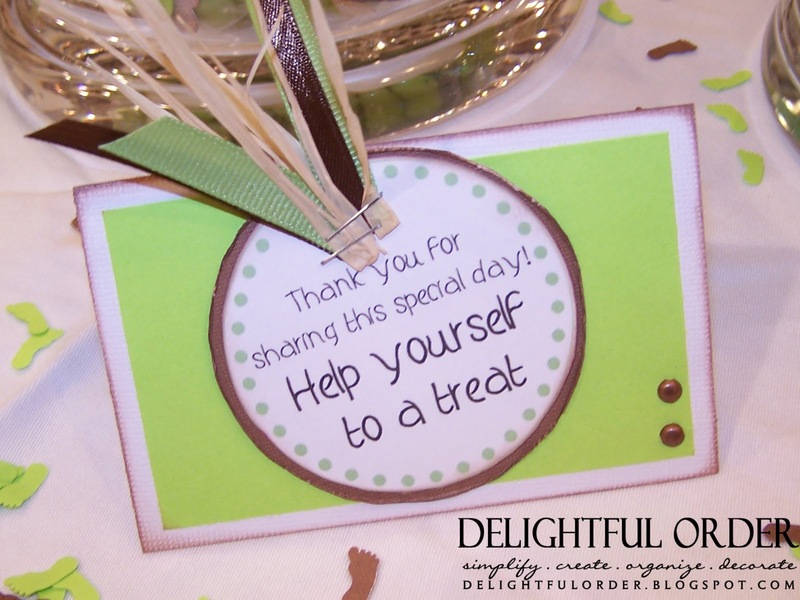 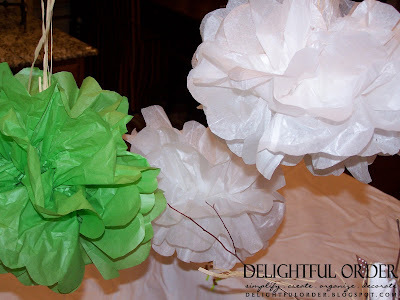 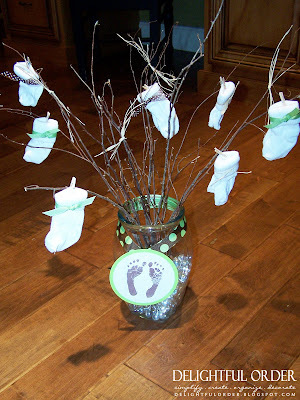 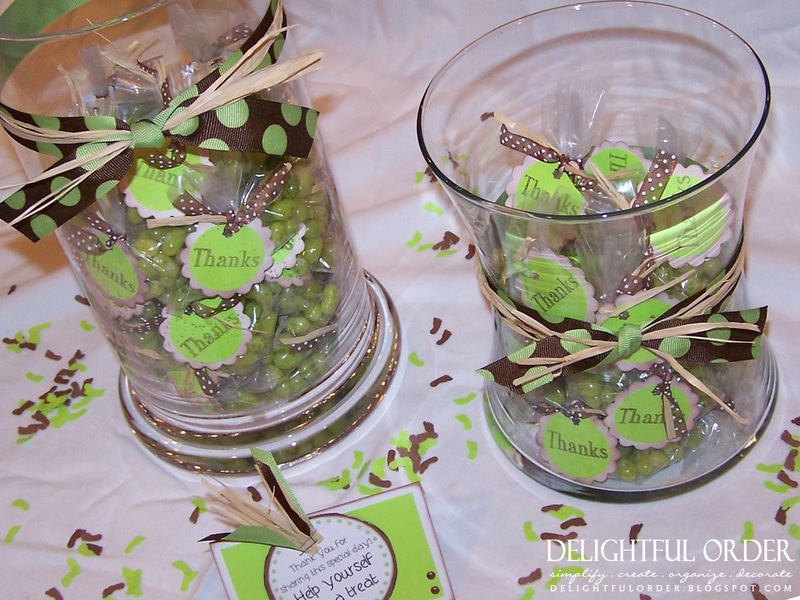 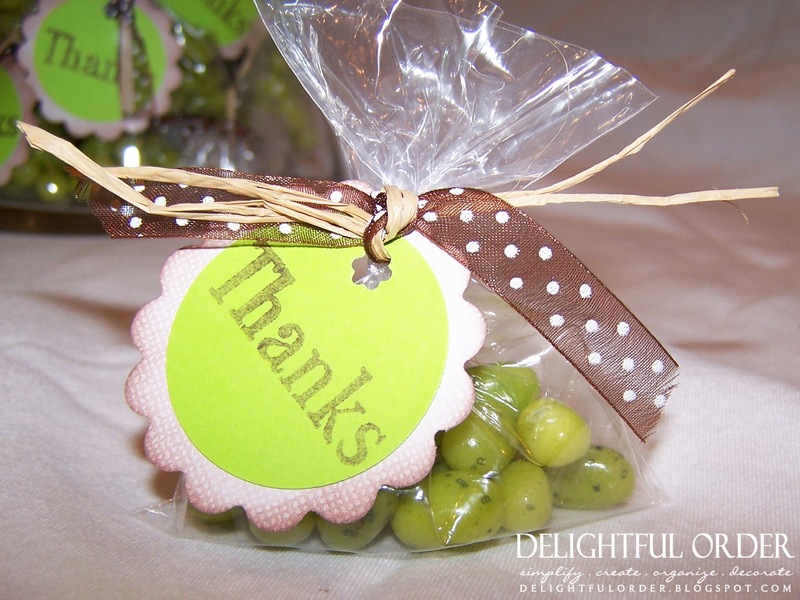 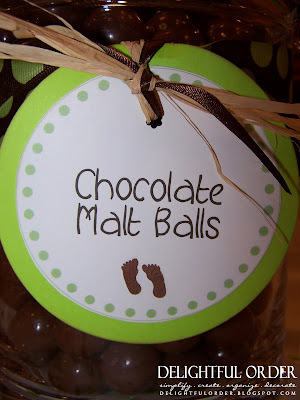 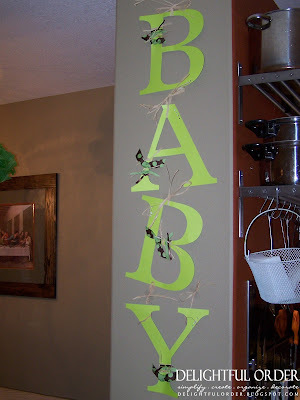 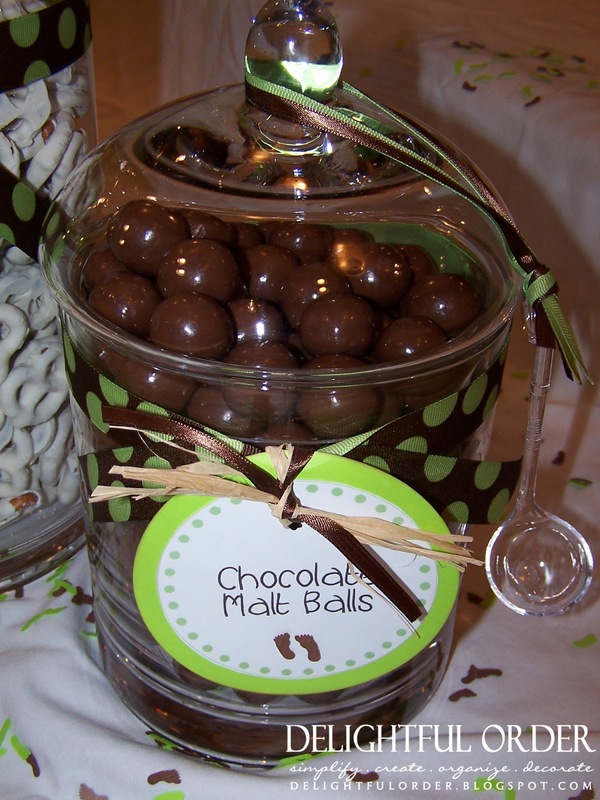 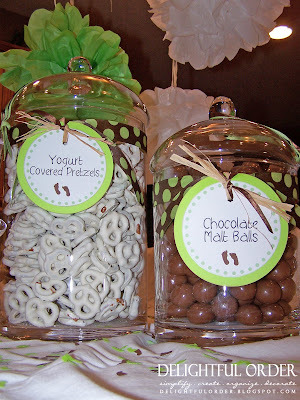 Here is a great gender neutral baby shower that incorporates the theme Little Feet. 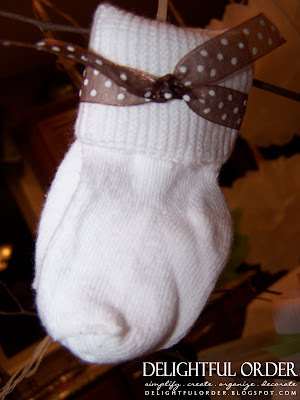 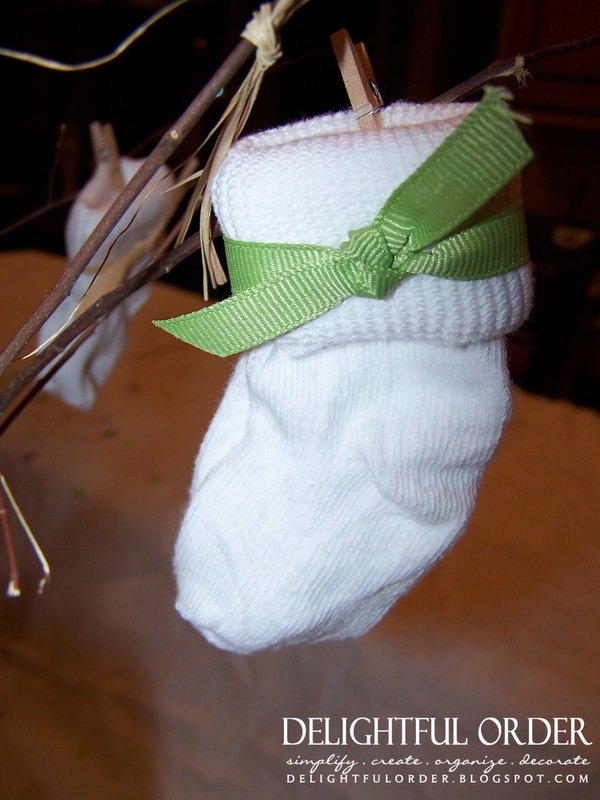 The sock tree is such a great centerpiece that goes with the theme plus it’s something that the mom-to-be will be able to keep and use. One of my favorite elements is the guest book. A tree was cut out and put on scrapbook paper. 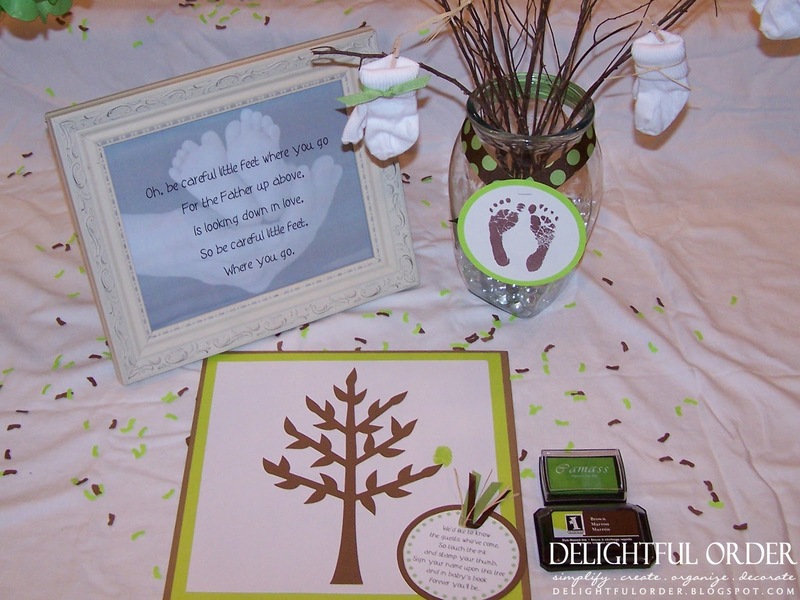 Everyone stamped their thumb in the green or brown ink & made a “leaf”, and signed their name on top of their print. This is such a unique and creative item to keep in the baby book. Tissue Poms always are great decor. 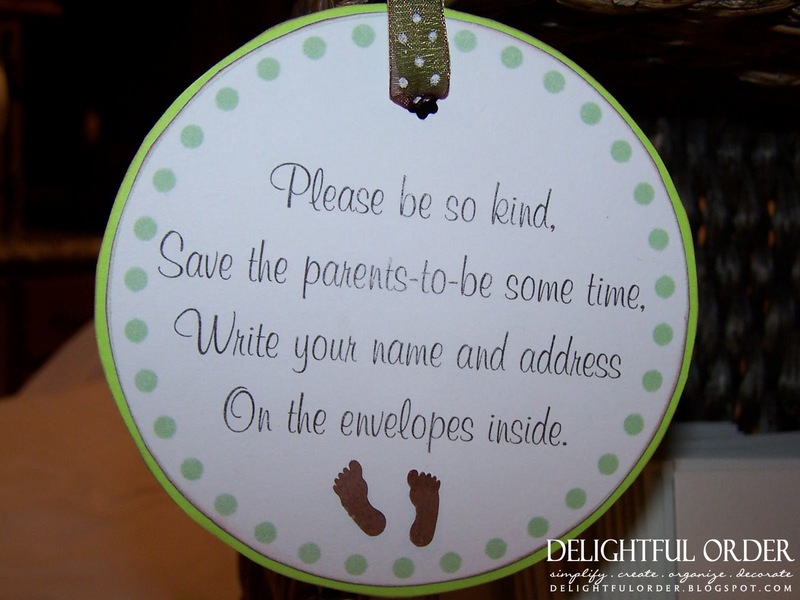 Having the guests write their address on envelopes always helps out the mom-to-be so much! This little tree was the guest book that the guests put their thumbprint on. Oooh thanks for sharing this. Got me inspired for sure! 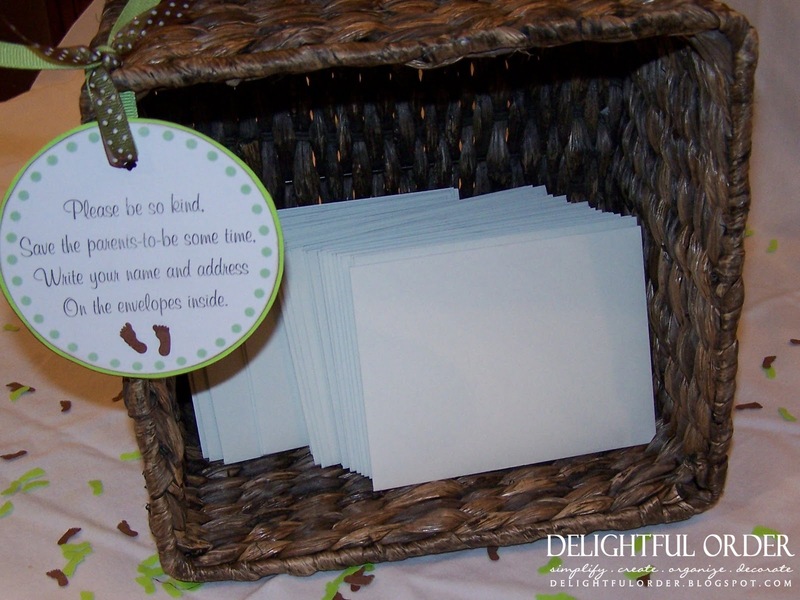 I love all of the cute rhymes!! 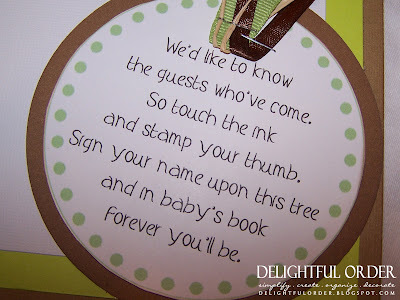 The tree guest book page is a really great idea, too.